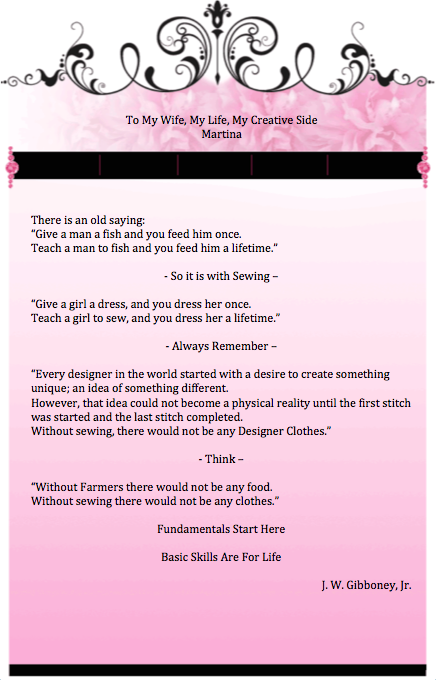 Here is a Sewing Quotation that my husband wrote for me. It really means a lot to me and I would like to share this with all you, because you are creative and wonderful too. I hope you enjoy it!